It takes some faith to be a modern eater. In the past, most people knew exactly what they were eating, because they themselves planted and harvested the rice, raised and slaughtered the chicken; picked the fruits and plucked the leafy vegetables. But today - at least in much of the lowlands - the sites of production (i.e. the farms) - and processing (i.e. the factories) - are far removed from the site of consumption (i.e. our dinner tables) and oftentimes we rely on food labels to tell us what exactly we are eating. But can food labels be trusted? Are nutrition facts and ingredients intelligible enough for most consumers to help them make decisions? These questions, fundamental as they are for consumer rights, are even more relevant today as more and more people are getting sick because of the food they eat, and as food companies increasingly market their products to health-conscious consumers. In this essay let us look at food labels and examine what they reveal (and conceal). Pick a random item in any supermarket and first thing you see are the illustrations: luscious strawberries, Dutch windmills, New Zealand cows. Cast off these images! In this exercise, and in our everyday food shopping, we need to focus on the fine print, for it gets us to closer to the truth of what we are about to eat. First, look at the generic name of the product, because it can make a whole world of difference in nutritional content. Many people would consider juices to be healthier than softdrinks, but juice, by industrial definition must come entirely from real fruits. In reality, most of the so-called juices in the market are actually “flavored juice drinks”: beverages with little or no actual fruit juice, and a lot of flavors and sweeteners. Another example: “Condensed milk” and “evaporated milk” are, by definition, milk where water is removed, and, in the case of the former, sugar is added. But many of the products we assume to be condensed or evaporated milk are actually “creamers”: in place of real milk are vegetable oils and milk powders. Nutritionally speaking, this substitution is very alarming, in light of the long history of these products being used as infant formula. Second, food labels can trumpet a certain kind of health benefit, but can mislead in terms of what that benefit actually means, and distract attention away from unhealthiness of the product as a whole. Most “whole wheat bread” in the market does have some whole wheat, but still has enriched flour - and the inevitable sugar - as ingredients. One 75-g pack of junk food boasts that it has “0g trans fat” but the fine print shows that its saturated fat content is 7.5g - a whopping 39% of the recommended daily allowance! “Organic” is great, but organic chocolate will still make you fat if you overeat it. Finally, although manufacturers are required to list their ingredients and nutrition facts, these seemingly-objective parameters can also mislead, as when serving sizes do not correspond with the actual quantity of a product that is commonly consumed in its entirety. A serving of one popular junk food has 170 calories, but there are actually 4 servings in a 100g pack, making for a total of 680 calories - equivalent to over three cups of rice! For the food to be in the supermarket in the first place, nutritional sacrifices have to be made, such as the addition of chemicals and the removal of certain nutrients for longer shelf life. There is also the imperative to make the products affordable, hence many of the “cheese foods” we think of as real cheese are actually made of water and oil more than “natural cheese”. Alas, what remains within the budgets of many Filipinos are foods that are rich in flavor but poor in substance; high in calories but lacking in nutrition. The good news is that there are healthy and affordable foods out there - healthy eating is (and should not) be regarded as a province of the rich. A glass of pure dalandan juice costs just P15 - cheaper than those sugary, dalandan-flavored beverages. Kamote and saging na saba remain affordable and great snacks, even though it takes some patience for our taste buds to rediscover the deliciousness of natural foods - having been made pihikan (picky) by artificial flavors. While the specifics of healthy eating may change with new research, the core tenets are timeless: Choosing foods that are low(er) in sugar, salt, and fat and as unprocessed as possible (the fewer the ingredients the better); going for variety; and eating in moderation. But how will consumers be able to tell? This is where the government should step in. 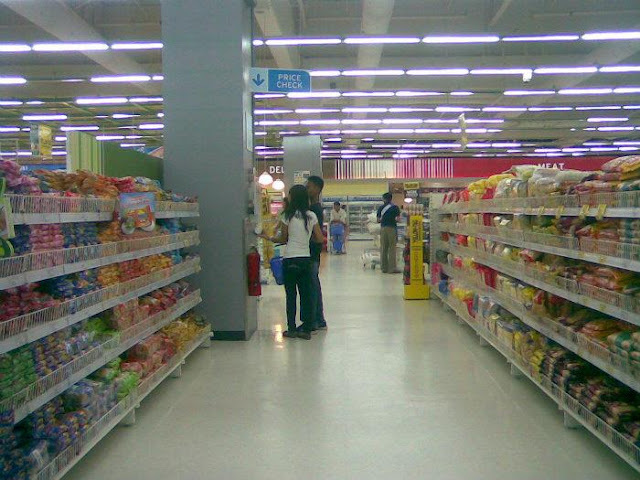 In Ecuador, food products are required to prominently display the levels of fat (graza), salt (sal), and sugar (azucar) in “traffic light labels” that show green for low, yellow for medium, and red for high. A similar move in our country would be very much in the spirit of our own Food and Drug Administration’s call for food labels to help people “acquire the knowledge necessary to be informed consumers”- but sadly, this call has largely been ignored by the market. Alongside our plea for government action, we can equip ourselves - and others - with a critical eye for food labels, ingredients and nutrition facts. In an age when profit margins are oftentimes more valued than product quality, and when many of our lifestyle diseases can be prevented by a healthy diet and regular exercise, we must add to our common sense the ability to differentiate between nutrition fact and fiction.